SIGN UP BELOW TO ORDER NOW! The Melanated Classic Tarot deck is a necessary addition for any tarot reader, whether a novice or expert. 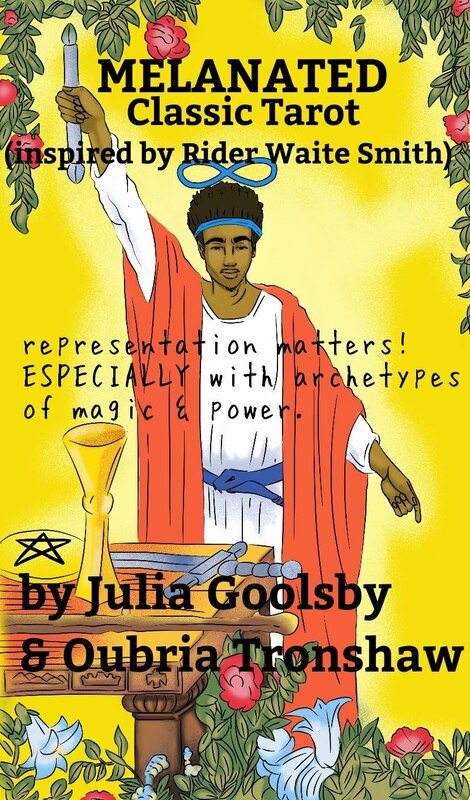 It includes 78 full color illustrations by Julia Goolsby; the instruction booklet, written by Oubria Tronshaw, includes a revolutionary narrative of divine love and partnership. The cost is $36, plus $10 for shipping and handling. Leave your name & email below. A link to order will be emailed to you! Thank you for reading, and please share! That sounds amazing! Please send me the link to order!